Saguaro National Park in Tuscon is divided into two sections: Saguaro National Park East is 15 miles east of downtown, in the Rincon Mountain District. Saguaro National Park West, in the Tuscon Mountains, is about 15 miles west of downtown. Park East offers scenic views, several different trails to explore, and provides restrooms/water fountains at the park entrance. Choice of flatter, rolling hills, or challenging trail runs. 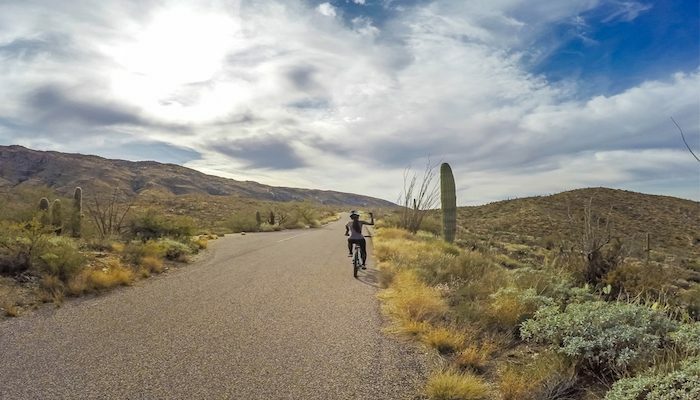 There is a well-known route of 8.3 miles, with several options for branching off to other trails, and is highly recommended by employees at the TriSports shop, located in central Tucson. The route incorporates the Carillo, Three Tank, and Douglas Springs trails, around Mica Mountain, running through a forest of saguaros. With several steep hills, and one large 1.5 mile climb, this route is geared more towards advanced or experienced trail runners. Hi there, You have performed an excellent job. I’ll certainly digg it and individually suggest to my friends. I’m sure they’ll be benefited from this site. Parking at the eastern end of Broadway and the eastern end of Speedway leads to miles and miles of trails.